Thai Yoga Massage (TYM) is an ancient form of bodywork that combines elements of yoga, Tai chi, and massage. Its origins are rooted in Ayurvedic medicine and date back 2500 years to India and the Buddhist temples of Thailand. Often referred to as “Assisted Hatha Yoga,” the practice is performed on a mat on the floor with the client wearing loose comfortable clothing to facilitate ease of movement. Practitioners guide the client through various yoga poses and stretches while palming and thumbing the energy lines of the body, known as Sen lines. The slow, rhythmic movements used in TYM create a flow that gently balances the body’s energy lines, while increasing range of motion, improving circulation, and relieving chronic muscular tension. The founder of Thai Yoga Massage was an Indian, Ayurvedic doctor by the name of Jivaka Kumar Bhaccha. His renown for treating kings and noblemen led him to become the Buddha’s personal physician. The Buddha’s teachings eventually became a huge influence on Jivaka and his work. When Buddhism spread to Thailand, the practice of yoga and Ayurvedic medicine also followed. TYM, also known as Nuad Boran in Thailand, took shape in the Buddhist temples of Thailand and was passed down from master to apprentice through oral tradition. Because Buddhist philosophy is so enmeshed in the practice of TYM, practitioners view it as the physical application of “metta,” which translates into – loving-kindness. Thai Yoga Massage has since evolved into two main styles, the northern and the southern. The Old Medical Hospital in Chang Mai, Thailand has become the main hub for the northern style and Wat Pho in Bangkok, the center for the southern style. Although the two share a lot in common, they differ in how the energy lines are worked. The northern style involves palming and thumbing of the Sen lines and is generally a bit more active with its stretches and yoga poses. The southern style is more relaxed in its approach and uses a technique known as plucking to stimulate the energy lines via the nerves. These days, more and more practitioners are combining elements of both styles making it harder to distinguish between the two. In addition to these techniques, practitioners of both styles will often use their forearms, elbows, knees and feet to work the body. There are a few other key distinctions worth noting between the different styles of Thai massage, namely the pacing and amount of pressure used. These elements do have a stylistic component to them but more often than not are influenced by the individual practitioner. Some may choose to use a quick and vigorous pace to work the energy lines of the body, while others will work in a slower, more deliberate manner. The other element is how much pressure is used during a session. Originally, Thai massage was widely administered as a form of medicine for various types of malaise throughout Thailand, so relaxation was not considered its main objective. In the hands of a few master practitioners however, the application of pressure could vary greatly from a light to deep touch depending on the client and the area being worked on. Working in this fashion takes into account both our physical and energetic bodies and becomes meditative in nature. Traditional TYM focuses a good amount of time on the legs and lower body. The reason for this has to do with how much time Thai people spend on their feet. A majority of them spend their day working on their feet. By contrast, most westerners spend most of their day sitting in a chair in front of a computer. They also tend to be taller and heavier and have more upper body issues. 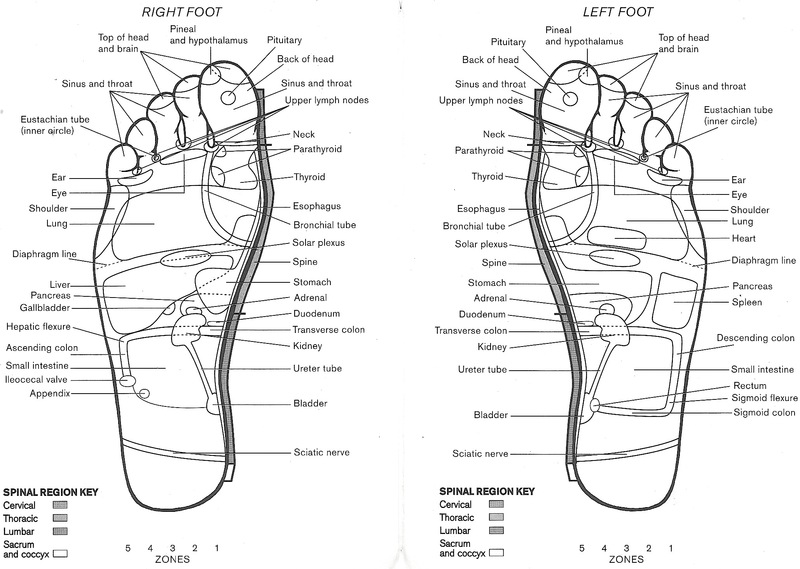 At Brooklyn Reflexology a form of northern Thai massage, which addresses both the lower and upper body is used. An emphasis is placed on flow and fluidity of movement to help create a deeply therapeutic affect on the body, mind and spirit.